I believe few would argue with the statement that Peacham is a very charming Vermont town. Settled in 1776 the village has a pretty view of the mountains, the delightful Peacham Café, and streets lined with eye-catching historic homes. Many of these houses have small signs on their front lawn stating the year it was built and the name of the house. It is no wonder why so many flock to Peacham to photograph its beauty, especially during the foliage. The community-oriented town holds many festivals such as a Fall Foliage Festival and the Fourth of July Tractor Parade. During such events, these “Historic Homes of Peacham” are often an attraction and photographed by tourists and locals. The neighborly homeowners often welcome spectators… just another alluring trait of Peacham. You may be familiar with the book “Historic Homes of Peacham”. This beautiful hard-covered book was created by members of Peacham’s Historical Homes Committee. If you haven’t seen it, I highly recommend checking it out. A copy can be purchased through the Peacham Historical Association , at the Peacham Corner Guild (open seasonally) or the Peacham Library. The book has wonderful old photographs and gives you a glimpse into the history of the many homes we admire. Recently TSRE listed a property about half way up Mack’s Mountain on Lanesboro Road. 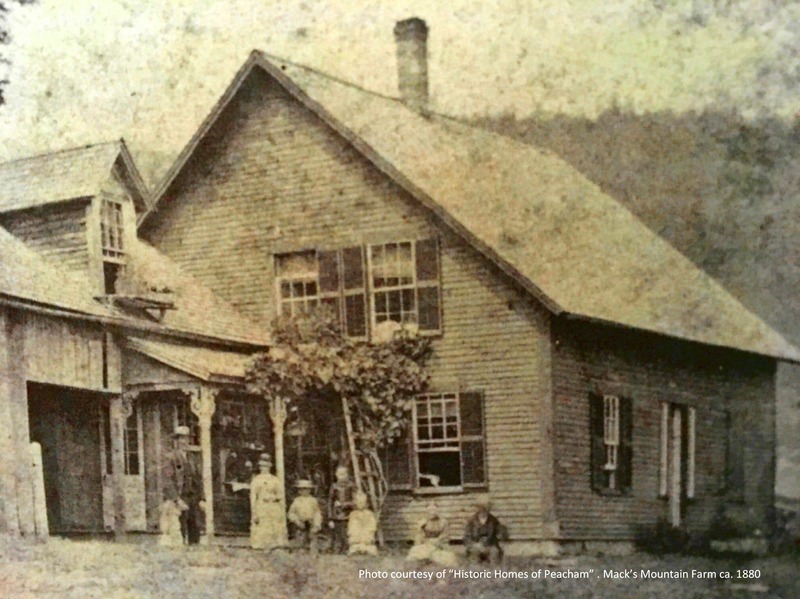 This antique home is featured in the book titled “Mack’s Mountain Farm”. The house was built in the early 1800s. When you compare the two photos it’s apparent the house has changed since the first photo taken in 1880, as houses often do. According to the write-up, the home is a Classic Cottage but “…the door surround is unusual. 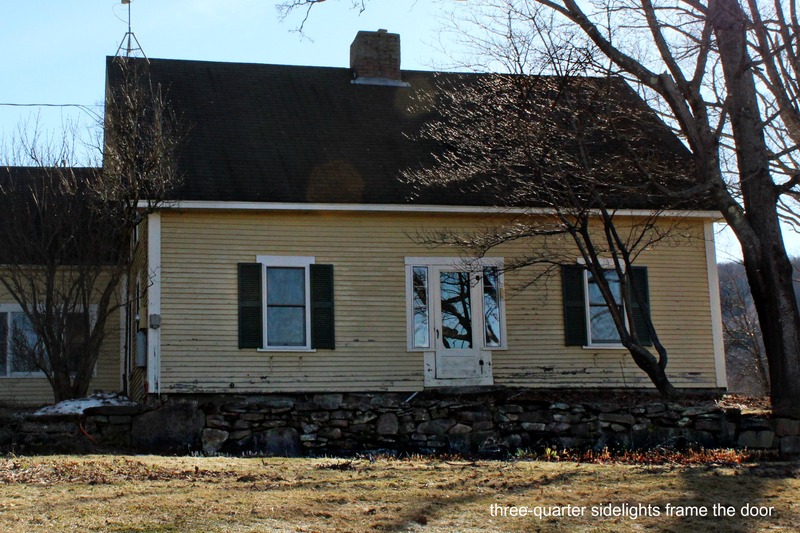 It features three-quarter-length sidelights with clapboarding continuing beneath them and a wood lintel atop the door and sidelights.” The house still features the three-quarter sidelights. The property has had many owners since the first recorded owner Moses Watts in 1792. After 200+ years, it’s hard to say for certain which house details are original and what was added over the years. Yet, it is obvious much of the character of this home is antique. Hand hewn beams have been exposed in the ceiling of the living room and kitchen, there are wide-board floors, wainscoting, built-ins, and so on. 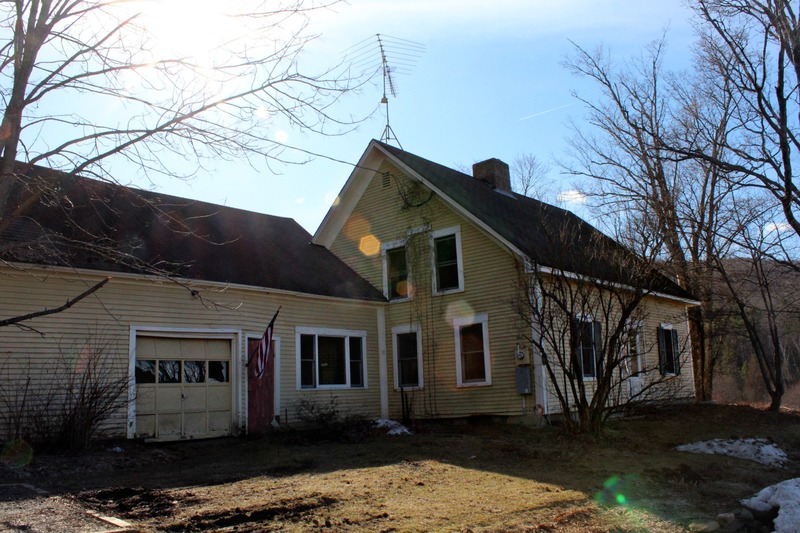 This home has been loved but is ready for the next home-owner who appreciates the character of an old Vermont farmhouse and can give it the attention it needs. The house sits on 40 +/- acres and is enrolled in Current Use which helps with the cost of property taxes. Click here to view the listing. On the topic of “Historic Homes of Peacham” there is another TSRE listing featured in the book. 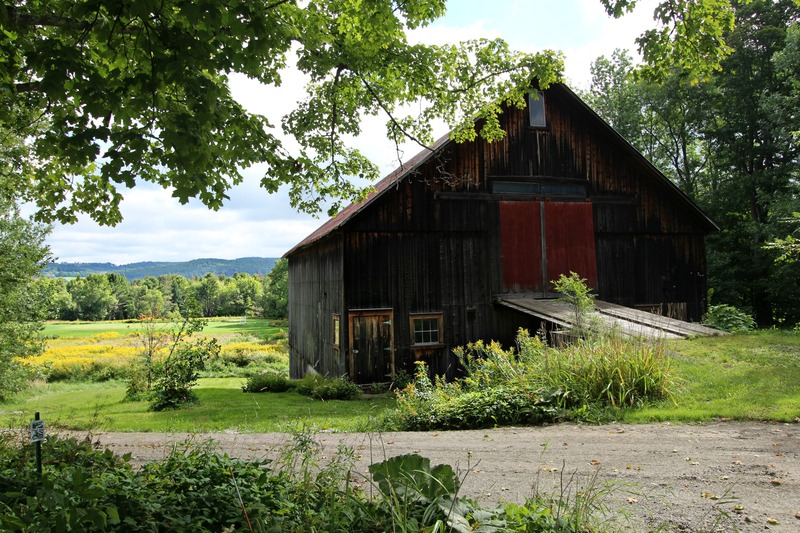 On page 30 you’ll find “Hobart’s Barn” one of the oldest barns in Peacham. “Hobart’s Barn” is in the village and on the lot of 480 Bayley Hazen Road. The home was built in 1819 and has a perfect combination of antique details and modern updates. You can check out that listing here. I want to extend a big thank you to the Peacham Historical Association for keeping the history of Peacham alive in the community.